Studio portrait in front of a painted backdrop of Martha and Notley Henderson with their three children. Their son Allen is standing. 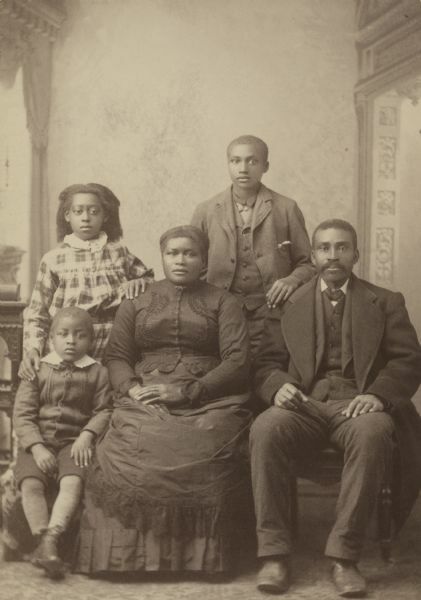 The Hendersons were early African American settlers in Madison.